Blockchain Board of Derivatives (BBOD), a hybrid and semi-decentralized trading platform for cryptocurrency futures, has just released their fundamental analysis outlining the future potential of DigiByte (DGB). The report draws a largely positive picture for the digital asset that claims to have solutions for many of the shortcomings hindering Bitcoin’s appeal as a mainstream financial instrument. Due to its relative resilience against the lingering slowdown and a strong technical foundation, DGB is now rated “accumulate” on BBOD’s trading platform. The study points out at the outset that DigiByte founder, Jared Tate, is clear about not going head-on against Bitcoin, the most popular cryptocurrency in the world with a market cap of nearly $70 billion. Instead, it adds, the DGB team is focused on mitigating the inefficiencies that are generally considered to be limiting Bitcoin’s usability as an immutable currency. Speed is one such factor. Without a catalyst, individual transactions on the Bitcoin network require to undergo six confirmations, with each block confirmation taking up to 10 minutes. In total, the whole process can end up taking somewhere around 60 minutes. This is clearly one aspect that’s not going to go down well with retail businesses; the study points out. Even though the Lightning Network promises to take care of Bitcoin’s scalability issues, it is still far from being the ideal solution. The study then underscores that block time on the DGB network is 40x faster than that on the Bitcoin network, with each block confirmation taking as little as 15 seconds. Because of this superior block speed, the DGB network can handle up to 560 transactions each second, as compared to just eight on the Bitcoin network. The BBOD analysis attributes the superior speed of the DGB network to its integration with SetWit, which makes the ledger significantly more compact. To ensure that the DGB ecosystem remains immune from such vulnerabilities, the DGB team made its mining protocol in a way that it prevents “large actors” from taking over much of the network. This unique approach seems to have paid off considering that the DGB network currently spans six continents with a total of more than 100,000 nodes. That makes it practically impossible to centralize the network regardless of how much computational power resourceful miners deploy. The BBOD analysis also points out to a multi-shield protocol called Digishield that further adds to the security and stability of the DGB distributed network. Simply put, Digishield periodically readjusts the complexity of individual algorithm every time it senses that the computational power has become familiar with it. This, the study concludes, prevents individual mining algorithm from emerging dominant. Although BBOD clarifies that the analysis in question “should not be the basis for making an investment decision,” the information it passes onto the community is likely to add to DGB’s appeal as an investment choice among traders. 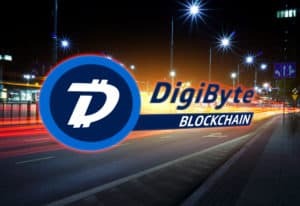 Blockchain Board of Derivatives Declares DigiByte [DGB] a Worthy Crypto Investment [Rating: Accumulate] was originally found on Cryptocurrency News | Blockchain News | Bitcoin News | blokt.com. Next Next post: Dogecoin [DOGE] Price Prediction: Will The Price Consolidation Finally End?